THE HAGUE–The migration of Venezuelans to Curaçao and Aruba is an “exceptionally complex matter” in which the Dutch government will provide assistance when this is requested by the countries. However, intervention by the Kingdom is not effective. 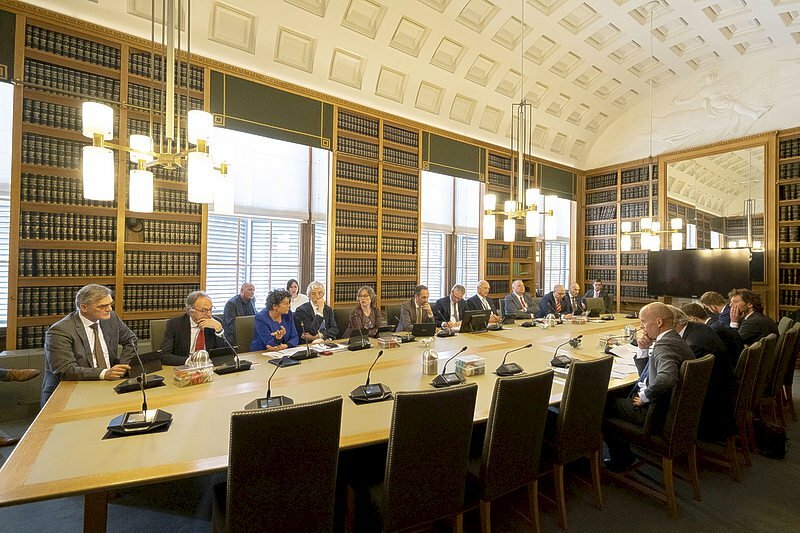 Dutch State Secretary of Home Affairs and Kingdom Relations Raymond Knops stated this in a meeting with the Permanent Committees for Kingdom Relations and for Immigration and Asylum of the First Chamber of the Dutch Parliament on Tuesday. The committees had invited Knops to discuss the effects of the crisis in Venezuela on especially Curaçao and Aruba, the position of the Venezuelan refugees on the islands and what was being done to help this group. The Dutch Parliament is very concerned about the human rights of refugees and the undocumented Venezuelans who live under bad circumstances on the islands. Senator Tineke Strik of the green left party GroenLinks referred to reports that Venezuelan migrants were locked up under bad circumstances at the barracks for foreigners in Curaçao awaiting their deportation. She said the fear of being caught drove the migrants to illegality in an effort to elude authorities. Strik, a lecturer on migration law at Nijmegen Radboud University, asked about the possibilities for the Netherlands to finance a regular refugee centre where people could receive assistance. She said the local aid organisations lacked capacity. “Can’t we do more? Why don’t we invest more in shelters in Curaçao as part of the policy to assist refugees within the region? It is important to prevent these people from disappearing in the illegal circuit,” she said. Senators Meta Meijer of the Socialist Party (SP) and Mohamed Sini of the Labour Party PvdA asked Knops to provide an update on developments in the process to assist Venezuelan refugees. Senator Frank van Kappen of the liberal democratic VVD party expressed concerns about the increasing activities of Russia in Venezuela and the large-scale problems this may cause, resulting in a mass migration. Knops spoke of an “exceptionally complex issue” that didn’t arise today, yesterday, last week or last month. He acknowledged that the Venezuela crisis had multiple consequences for nearby countries like Curaçao and Aruba, which had to deal not only with migrants, but also with socio-economic and financial problems. There is a recession in Curaçao, and Aruba is facing an enormous national debt. This limits the room to manoeuvre. He responded to a remark of Senator van Kappen, who referred to the ruling of the European Court in the case of St. Maarten businessman Francesco Corallo, and the fact that the Netherlands was held responsible for the bad detention circumstances under which Corallo was held at the Philipsburg police station. Van Kappen drew the comparison with the detention circumstances of Venezuelan refugees in Curaçao. Senator Strik, who had specifically requested a more active role of The Hague, said after Tuesday’s meeting that she was not satisfied with the Knops’ answers. “He is dodging politics. Too little is being done for the Venezuelan migrants. The situation where they disappear into illegality and are being exploited doesn’t do anyone any good. This is a vulnerable group that has no access to health care and other basic human rights,” she said. That same Tuesday afternoon, a broad majority of the Second Chamber voted in favour of the motion of Sjoerd Sjoerdsma of the Democratic Party D66 which called on the Dutch government to see to it that Curaçao’s humanitarian hub would not be used for military interventions. Dit bericht werd geplaatst in _Aruba, _Curacao, _Nederland, _Venezuela, Politiek, SXM-Daily Herald. Bookmark de permalink .